Next Class Starts on July 9th, 2017! We all know that dogs have an amazing sense of smell and a natural desire to hunt, here’s your chance to put those skills to the test! Our K9 Scent Games classes focus on teaching you different games and scenarios that can be used to encourage your dog’s natural scenting abilities. The fun classes are based on authentic scent detection training and the drills and scenarios will range from basic confidence building set ups to complex scenarios that might even leave you scratching your head. Take a look at a video from an earlier class. The unique curriculum we have adopted in our classes promotes a positive, fun and motivationally-based methodology. By utilizing our dog’s search skills, we build confidence, burn off mental and physical energy, and a positive working relationship that develops between you and your dog when you both are out “hunting” together as a team. Come on out and get smelly with us! 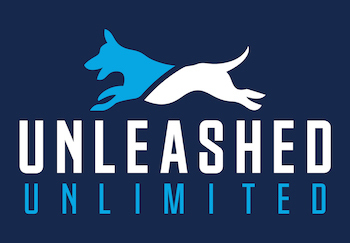 Because our K9 Scent Games class begins on leash and only one dog will be “hunting” at a time, this class is open to all levels of obedience and individuals who are not currently Unleashed Unlimited clients are welcome as well. The class runs for 4 consecutive weeks and the meeting times and dates are listed below (all of the dates and times are listed on our schedule page as well). All participants are required to bring plenty of high-value treats that your dog goes absolutely crazy for, and a leash (a harness may be a good idea for those strong pullers). Class size is limited and the cost is $100.00 per dog and registration closes on July 8th, 2017.